Four front pockets plus a Velcro closed coin pocket. Also includes key chain clip and matching color Velcro tabs to secure instruments. 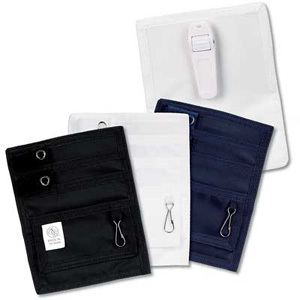 Features a sturdy plastic clip for belt or waistband.